New South Wales has just recorded its driest year on record since 1965, with the whole of the state being declared in drought and the Bushfire season start brought forward. • 2017–2018: prolonged dry weather periods broken by heavy rain at times. Sydney experienced prolonged dry weather periods throughout 2017–2018 with average to below-average rainfall recorded. Sydney Observatory Hill recorded its driest winter since 2009, driest autumn since 2006, and driest September on record. June 2017 was the exception, with above average rainfall, including a particularly wet period at the beginning of the month. Heavy rain fell over four days from 7–10 June, with 158mm at Sydney Observatory Hill, 144mm at Randwick and 126mm at Avalon Beach. Despite the relatively dry conditions, several significant wet weather events occurred during summer and brought heavy rain at times. Notably, daily rainfall totals of 72mm at Avalon Beach, 69mm at Sydney Observatory Hill and 34mm at San Souci were recorded on 26 February. During 2017–2018, 97 swimming sites were monitored including ocean beaches, a lagoon, a rockpool and estuarine sites in Pittwater, Sydney Harbour, Botany Bay, lower Georges River and Port Hacking. Given that many of the pollution incidences associated with our local beaches can be attributed to stormwater and rainfall runoff, and what's in that runoff, the current annual State of the Beaches Report 2017-2018, reflects the conditions with Good or Very Good being the rating for most with a few exceptions where the quality recorded has actually declined - Elvina Bay and Dee Why Beach being two examples. At Elvina Enterococci levels increased with increasing rainfall, occasionally exceeding the safe swimming limit in response to 10mm or more of rain, and regularly after 20mm or more of rainfall. All of Pittwater's Ocean beaches, apart from Warriewood and Turimetta, which are affected by the sewrage works in the valley, were rated as Very Good, with Newport shown as 'Improved'. Although Barrenjoey (station Beach) has been upgraded to 'Good' from previous 'poor' there continues to be a moderate level of pollution even past the suspension of onsite toilet facilities at the fishermen's and boatmans cottages and the lighthouse. While Bayview Baths and Barrenjoey Beach were graded as Good in the current report, elevated enterococci levels were occasionally recorded during dry weather conditions (of all the monitored sites Barrenjoey Beach-Station Beach showed the highest percentage of animal droppings - these are not attributable to stormwater events). Below run some insights from the State of the Beaches 2017-2018 Report which define its aspects, and below this are listed those aquatic playgrounds that are where we live. Health risks - from page 2. Contamination of recreational waters with faecal material from animal and human sources can pose significant health problems to beach users owing to the presence of pathogens (disease-causing microorganisms) in the faecal material. The most common groups of pathogens found in recreational waters are bacteria, protozoans and viruses. Exposure to contaminated water can cause gastroenteritis, with symptoms including vomiting, diarrhoea, stomach-ache, nausea, headache and fever. Eye, ear, skin and upper respiratory tract infections can also be contracted when pathogens come into contact with small breaks and tears in the skin or ruptures of the delicate membranes in the ear or nose. Certain groups of users may be more vulnerable to the threat of microbial infection than others. Children, the elderly, people with compromised immune systems, tourists, and people from culturally and linguistically diverse backgrounds are generally most at risk. sediment pollution, such as soil erosion and runoff from building sites and unsealed roads. car washing on the street: using detergent and allowing it to run down the street drain. disposing of garden waste: letting leaves or garden clippings accumulate in gutters or driveways where they can end up in the street drain. dropping litter: dropping litter where it will be swept into the street drains next time it rains. cleaning paint brushes: letting the contaminated water flow into the street drain. litter clogs waterways and causes toxicity as it breaks down. It affects the health of birds, fish and other animals and plants that live in the waterways. All 32 swimming sites were graded as Very Good or Good in 2017–2018. This is an excellent result, reflecting prolonged dry weather conditions, and an improvement in performance from the previous year. Palm Beach, Whale Beach, Avalon Beach, Bilgola Beach, Newport Beach, Bungan Beach, Mona Vale Beach, South Curl Curl Beach, The Basin and Great Mackerel Beach. These sites had excellent water quality and were suitable for swimming almost all of the time. Swimming sites monitored in the Northern Sydney region include ocean beaches, estuarine areas in Pittwater and lagoon sites in Narrabeen Lagoon, with each site type having a different response to rainfall-related impacts. Estuarine and lagoon swimming sites did not perform as well as ocean beaches due to lower levels of flushing which increase the time needed to disperse and dilute pollution inputs, taking longer to recover from stormwater events. As a general precaution swimming should be avoided during and for at least one day after heavy rain at ocean beaches, and for up to three days in estuarine and lagoon areas, or if there are signs of stormwater pollution such as discoloured water or floating debris. All 20 ocean beaches were graded as Very Good or Good. Palm, Whale, Avalon, Bilgola, Newport, Bungan, Mona Vale, and South Curl Curl beaches were graded as Very Good. The water quality at these sites was of a very high standard and suitable for swimming almost all of the time. Warriewood, Turimetta, North Narrabeen, Collaroy, Long Reef, Dee Why, North Curl Curl, Freshwater, Queenscliff, North Steyne, South Steyne and Shelly (Manly) beaches were graded as Good. Water quality was suitable for swimming during dry weather conditions, but swimming should be avoided during and for up to one day following heavy rainfall. The Basin and Great Mackerel Beach were graded as Very Good, as in previous years. These sites had excellent water quality and were suitable for swimming almost all of the time. Barrenjoey Beach, Paradise Beach Baths, Clareville Beach, Taylors Point Baths, Bayview Baths, Elvina Bay, North Scotland Island and South Scotland Island were graded as Good. Water quality at these sites was suitable for swimming most of the time, with elevated levels of enterococci mostly recorded following rainfall. Barrenjoey Beach (Station Beach) was upgraded to Good from a Poor grade in 2016–2017. This grade continues to be provisional as the information required for the analysis is incomplete due to limited bacterial data. A potential pollution source was removed in November 2016 with the decommissioning of the onsite toilet facilities at the lighthouse, Fisherman’s and Boatman’s cottages at the northern end of the beach. To reflect these conditions, only data collected since the major works were completed have been included in the assessment. While Bayview Baths and Barrenjoey Beach were graded as Good, elevated enterococci levels were occasionally recorded during dry weather conditions. Water quality at these sites can take longer to recover from stormwater events than other Pittwater swimming sites due to lower levels of flushing. Elvina Bay was downgraded to Good from Very Good in the previous year. While this is a decline in microbial water quality, elevated enterococci levels were only recorded following rainfall, and all dry weather samples were within the safe swimming limit. The main sources of faecal pollution affecting recreational waters are shown below (sourced from OEH page HERE). domestic animal exercise areas are not regularly cleaned of animal faeces. Birdwood Park and Bilarong Reserve in Narrabeen Lagoon were graded as Good, upgraded from Poor in the previous year. Narrabeen Lagoon (Birdwood Park) is located at the entrance to the lagoon and water quality was of a good standard with 94% of dry weather samples suitable for swimming. This grade is provisional as the information required for the analysis is incomplete due to limited bacterial data. Microbial water quality at this site is dependent on wet weather events and whether the lagoon is open to the ocean. 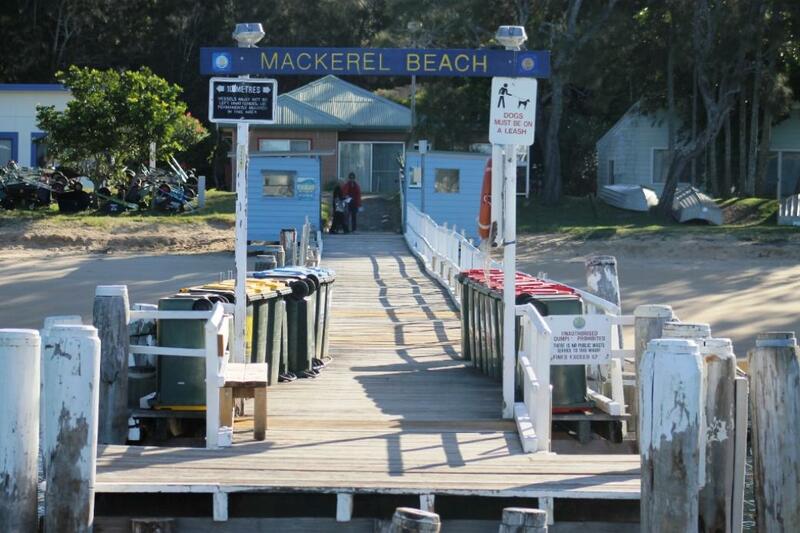 Discharge from Narrabeen Lagoon is a significant source of faecal contamination. A major clearance project in November 2016 opened the lagoon entrance to allow the site to be well flushed by clean ocean water, so only data collected since the major works were completed have been included in the assessment. The entrance to the lagoon was mechanically reopened again in March 2018 after naturally closing in January 2018. The lagoon entrance has since closed and only opened briefly during rainfall. Water quality at Bilarong Reserve in Narrabeen Lagoon was mostly suitable for swimming during dry weather conditions, but is susceptible to pollution during and following rainfall. During this assessment, 86% of dry weather samples were within the safe swimming limit. A significant source of faecal contamination is from stormwater runoff to the lagoon. The swimming site retains pollution inputs because it is located away from the lagoon entrance and is not well flushed by clean ocean water. NSW’s beaches have returned one of their cleanest years in nearly a decade, according to the latest state-wide annual Beachwatch report. “For the first time since 2010, 85 per cent of the state’s swimming sites are rated ‘good’ or ‘very good’, and there have been improvements across the board,” Environment Minister Gabrielle Upton said. “Estuarine swimming sites have never been this clean, with a record breaking 81 per cent listed as ‘good’ or ‘very good’. “In addition, a staggering 98 per cent of ocean beaches were shown to be clean and safe, as were four of the five ocean baths. “More importantly, the number of swimming spots that lifted a grade (18) is higher than those that dropped (11), which is a significant achievement,” Ms Upton said. The State of the Beaches report is an overview of water quality at swimming locations monitored by the Office of Environment and Heritage. Local councils and water authorities are responsible for their cleanliness. Daily beach pollution forecasts are issued for Sydney ocean and harbour beaches and can be accessed from the Beachwatch website, email subscription, Twitter and Facebook. There have also been some significant category improvements, Ms Upton said. “The number of clean estuarine swimming sites rose by 8 percent (from 73 per cent last year to 81 per cent this year) and the number of clean lake and lagoon swimming sites rose from 43 to 45 per cent. While these figures are welcome, they also show there is still work to be done, Ms Upton said. “According to the report, coastal lakes, lagoons and estuarine swimming spots were adversely affected by heavy rainfall. “There are also concerns about some Sydney Harbour beaches and the NSW Government is working with the relevant councils to develop a whole of Sydney Harbour coastal management program to achieve similar outcomes on a city-wide basis. “Two Sydney Harbour beaches (Northbridge Baths and Gurney Crescent Baths) scored “fair” and 12 estuarine beaches in less well-flushed sections of estuaries were graded “poor”. Some sites on the Central Coast scored poorly - while safe during dry weather, moderate rainfall caused some microbial levels to rise. The full OFFICE OF ENVIRONMENT & HERITAGE State of the beaches 2017-2018 - Sydney region - is available to download at link (PDF 10.1MB Pages 150). All other areas are also available HERE. Those relating to our area, as extracted from the full Sydney region report, run below. Photo in text; Cover of the OE&H State of the beaches 2017-2018, Sydney Region report. Barrenjoey Beach is approximately 1.5 kilometres long and located on the north-eastern foreshore of Pittwater. The Beach Suitability Grade of Good indicates microbial water quality is suitable for swimming most of the time but may be susceptible to pollution after rain, with several potential sources of faecal contamination. Enterococci levels increased with increasing rainfall, often exceeding the safe swimming limit after little or no rain. The site has been monitored since 1996. Since 2014 the sampling point has moved to the shoreline as access by boat was restricted by shallow seagrass beds. The results of the sanitary inspection for each swimming location are presented in a radar pie chart. The chart shows the likelihood that each identified pollution source will contribute to faecal contamination at a swimming site, as indicated by the size and colour of the segment, ranging from very low (lightest colour) to very high (darkest colour). Bayview Baths is a 20 by 40 metre swimming enclosure on the southern foreshore of Pittwater. The Beach Suitability Grade of Good indicates microbial water quality is suitable for swimming most of the time but may be susceptible to pollution after rain, with several potential sources of faecal contamination including stormwater and sewage overflows. Enterococci levels increased with increasing rainfall, occasionally exceeding the safe swimming limit after no rain, and often after 10mm or more of rainfall. The site has been monitored since 1995. Clareville Beach is a narrow 250 metre long beach located on the eastern foreshore of Pittwater. The Beach Suitability Grade of Good indicates microbial water quality is suitable for swimming most of the time but may be susceptible to pollution after rain, with several potential sources of faecal contamination including stormwater. Enterococci levels increased with increasing rainfall, often exceeding the safe swimming limit after 5mm or more of rain, and frequently after 20mm or more of rainfall. 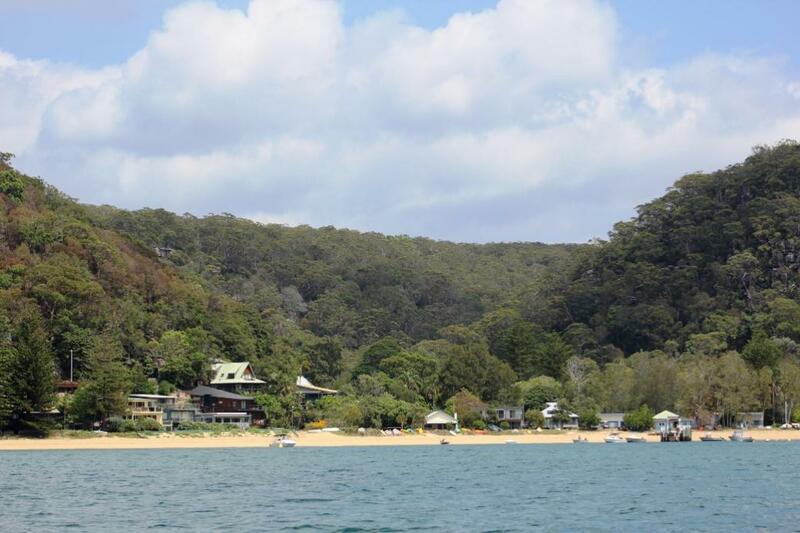 Elvina Bay is located on the south-western foreshore of Pittwater. The swimming area is not netted. The Beach Suitability Grade of Good indicates microbial water quality is suitable for swimming most of the time, with several potential sources of minor faecal contamination. Enterococci levels increased with increasing rainfall, occasionally exceeding the safe swimming limit in response to 10mm or more of rain, and regularly after 20mm or more of rainfall. The North Scotland Island swimming site is a 15 by 50 metre netted enclosure located on the north side of Scotland Island in Pittwater. The Beach Suitability Grade of Good indicates microbial water quality is suitable for swimming most of the time but may be susceptible to pollution after rain, with several potential sources of faecal contamination including onsite systems. Paradise Beach Baths is a 30 by 20 metre netted swimming enclosure on the eastern foreshore of Pittwater. Enterococci levels increased with increasing rainfall, regularly exceeding the safe swimming limit in response to 10mm or more of rainfall. The site has been monitored since 1996. The South Scotland Island swimming site is located at Carols Wharf on the southern side of Scotland Island. The location is not netted and is backed by a reserve. Enterococci levels increased with increasing rainfall, occasionally exceeding the safe swimming limit after 10mm or more of rain, and regularly after 20mm or more of rainfall. The site has been monitored since 1996. 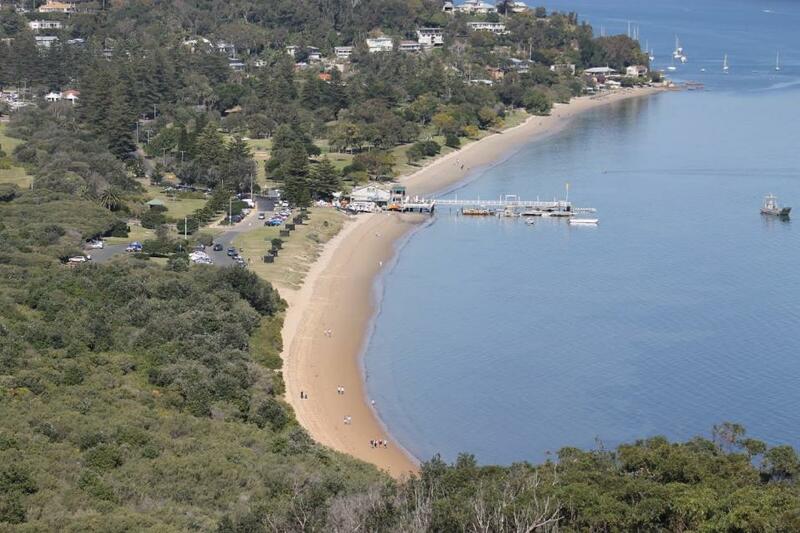 Taylors Point Baths is a 15 by 20 metre netted swimming enclosure on the eastern foreshore of Pittwater. Enterococci levels increased with increasing rainfall, occasionally exceeding the safe swimming limit after 5mm or more of rain, and regularly after 20mm or more of rainfall. The site has been monitored since 2010. The Basin is a 500 metre sandy beach on the western side of Pittwater, backed by Ku-ring-gai Chase National Park. The Beach Suitability Grade of Very Good indicates microbial water quality is considered suitable for swimming almost all of the time with few potential sources of significant faecal contamination. Enterococci levels increased slightly with increasing rainfall, occasionally exceeding the safe swimming limit in response to 10mm or more of rainfall. Palm Beach is 2.3 kilometres long, with rock baths in the southern corner. Lifeguards patrol the beach from September to April. The Beach Suitability Grade of Very Good indicates microbial water quality is considered suitable for swimming almost all of the time, with few potential sources of faecal contamination. Enterococci levels increased slightly with increasing rainfall, occasionally exceeding the swimming limit after 5mm or more of rainfall. The site has been monitored since 1989. Whale Beach is 600 metres long, with rock baths at the southern rock platform. Lifeguards patrol the beach from September to April. Enterococci levels increased slightly with increasing rainfall, occasionally exceeding the safe swimming limit after 20mm or more of rainfall. Avalon Beach is 500 metres long and backed by a park and picnic area. Lifeguards patrol the beach from September to April. Enterococci levels increased slightly with increasing rainfall, occasionally exceeding the safe swimming in response to 5mm or more of rainfall. Bilgola Beach is 500 metres long, with rock baths located at the southern end. Lifeguards patrol the beach from September to April. Enterococci levels generally increased with increasing rainfall, occasionally exceeding the safe swimming limit after 5mm or more of rain, and often after 20mm or more of rainfall. Newport Beach is an open, east facing beach around 1.3 kilometres long. Lifeguards patrol the beach from September to April. The Beach Suitability Grade of Very Good indicates microbial water quality is considered suitable for swimming almost all of the time, with few potential sources of significant faecal contamination. Enterococci levels increased with increasing rainfall, occasionally exceeding the safe swimming limit after light rain, and often after to 20mm or more of rainfall. Bungan Beach is 600 metres long and backed by a steep escarpment. Lifeguards patrol the beach from late December to the end of January. Enterococci levels increased slightly with increasing rainfall, often exceeding the safe swimming limit in response to 20mm or more of rainfall. Mona Vale Beach is one kilometre long. Lifeguards patrol the beach from September to April. Enterococci levels increased slightly with increasing rainfall, occasionally exceeding the safe swimming limit in response to 5mm or more of rain, and often after 20mm or more of rainfall. Warriewood Beach is 500 metres long and located below a steep bluff. The beach is patrolled during holiday periods. The Beach Suitability Grade of Good indicates microbial water quality is suitable for swimming most of the time, but can be susceptible to pollution after rain, with several potential sources of faecal contamination including Warriewood Wastewater Treatment Plant (WWTP). Enterococci levels generally increased with increasing rainfall, often exceeding the safe swimming limit after 20mm or more of rainfall. Turimetta Beach is 350 metres long and is backed by steep bluffs. This beach is not patrolled by lifeguards. The Beach Suitability Grade of Good indicates microbial water quality is suitable for swimming most of the time but may be susceptible to pollution after rain, with several potential sources of faecal contamination including Warriewood WWTP. Enterococci levels increased slightly with increasing rainfall, occasionally exceeding the safe swimming limit after 5mm or more of rainfall. The site has been monitored since 1994. North Narrabeen Beach is located at the northern end of the 3.5 kilometre-long beach and is patrolled from September to April. 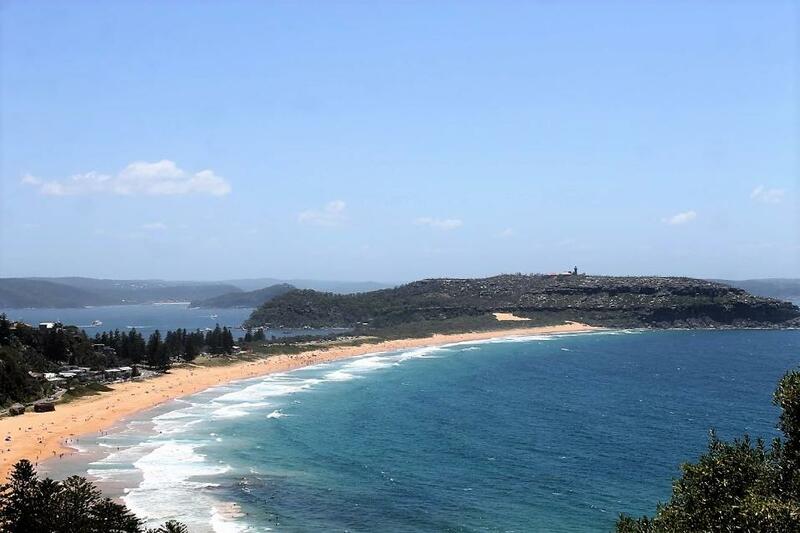 The Beach Suitability Grade of Good indicates microbial water quality is suitable for swimming most of the time but may be susceptible to pollution after rain, with several potential sources of faecal contamination including discharge from Narrabeen Lagoon. Enterococci levels increased with increasing rainfall, occasionally exceeding the safe swimming limit in response to 5mm or more of rain, and often after 10mm or more of rainfall. Collaroy Beach is backed by a park and picnic area. Lifeguards patrol the beach from September to April. The Beach Suitability Grade of Good indicates microbial water quality is suitable for swimming most of the time but may be susceptible to pollution, with several potential sources of faecal contamination including stormwater. Enterococci levels increased with increasing rainfall, occasionally exceeding the safe swimming limit after light rain and often after 10mm or more of rainfall. Long Reef Beach is located near the entrance of Dee Why Lagoon. Lifeguards patrol the beach from September to April. The Beach Suitability Grade of Good indicates microbial water quality is suitable for swimming most of the time but may be susceptible to pollution after rain, with potential faecal contamination from discharge from Dee Why Lagoon. Enterococci levels generally increased with increasing rainfall, occasionally exceeding the safe swimming limit in response to 5mm or more of rain, and often after 20mm or more of rainfall. Dee Why Beach is located at the southern end of the stretch of beach and is patrolled by lifeguards from late August to May. The Beach Suitability Grade of Good indicates microbial water quality is suitable for swimming most of the time but can be susceptible to pollution after rain, with several potential sources of minor faecal contamination. Enterococci levels increased slightly with increasing rainfall, occasionally exceeding the safe swimming limit in response to light rainfall and often after 20mm or more of rainfall. North Curl Curl Beach is located near the entrance to Curl Curl Lagoon. Lifeguards patrol the beach from September to April. The Beach Suitability Grade of Good indicates microbial water quality is suitable for swimming most of the time but may be susceptible to pollution after rain, with several potential sources of faecal contamination including discharge from Curl Curl Lagoon. Enterococci levels increased with increasing rainfall, often exceeding the safe swimming limit after 5mm or more of rain and regularly after 20mm or more of rainfall. South Curl Curl Beach is at the southern end of Curl Curl Beach and is patrolled by lifeguards from September to April. Enterococci levels increased with increasing rainfall, occasionally exceeding the safe swimming limit in response to 10mm or more of rain, and often after 20mm or more of rainfall. Freshwater Beach is approximately 350 metres long and is patrolled by lifeguards from late August to May. Enterococci levels increased with increasing rainfall, occasionally exceeding the safe swimming limit after light rain, and often after 10mm or more of rainfall. Queenscliff Beach is located at the northern end of Manly Beach. Lifeguards patrol the beach from September to April. The Beach Suitability Grade of Good indicates microbial water quality is suitable for swimming most of the time but may be susceptible to pollution after rain, with several potential sources of faecal contamination, including discharge from Manly Lagoon. Enterococci levels increased with increasing rainfall, regularly exceeding the safe swimming limit after 5mm or more of rainfall. North Steyne Beach is the middle section of Manly Beach. Lifeguards patrol the beach from September to April. The Beach Suitability Grade of Good indicates microbial water quality is suitable for swimming most of the time but may be susceptible to pollution after rain, with several potential sources of faecal contamination including stormwater and discharge from Manly Lagoon. Enterococci levels increased with increasing rainfall, occasionally exceeding the safe swimming limit after 5mm or more of rain, and often after 10mm or more rainfall. South Steyne Beach is at the southern end of Manly Beach. Lifeguards patrol the beach year-round. The Beach Suitability Grade of Good indicates microbial water quality is suitable for swimming most of the time, but may be susceptible to pollution from several potential sources of faecal contamination including stormwater. Enterococci levels increased with increasing rainfall, often exceeding the safe swimming limit after 10mm or more of rainfall. 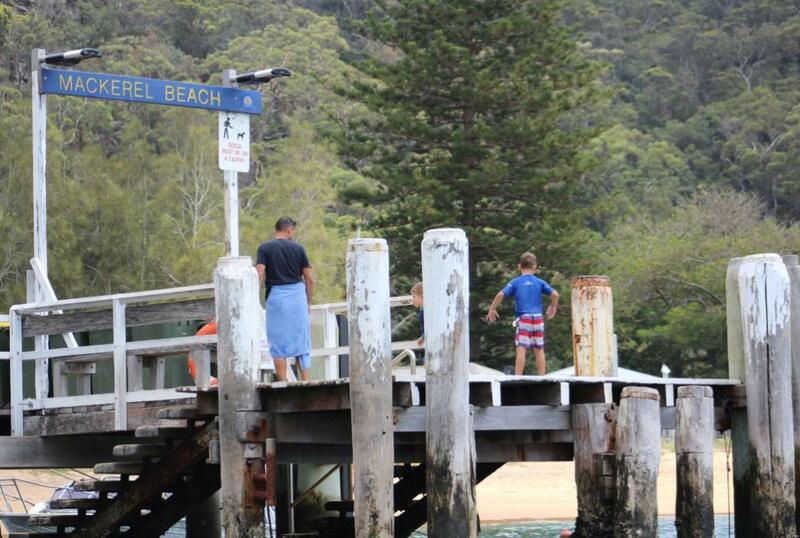 Shelly Beach is backed by a picnic area and reserve and is not patrolled by lifeguards. Enterococci levels increased with increasing rainfall, occasionally exceeding the safe swimming limit after light rain, and often after 5mm or more of rainfall. The Birdwood Park swimming site is a sandy beach located on the southern side of the entrance to Narrabeen Lagoon. The lagoon entrance has been periodically open and closed at times. The Beach Suitability Grade of Good indicates microbial water quality is suitable for swimming most of the time but can be susceptible to pollution after rain, with several potential sources of faecal contamination including the lagoon itself. Enterococci levels increased with increasing rainfall, occasionally exceeding the safe swimming limit in response to little or no rain. The site has been monitored since 2004. Bilarong Reserve is located on the northern shoreline of Narrabeen Lagoon. The Beach Suitability Grade of Good indicates microbial water quality is suitable for swimming most of the time but can be susceptible to pollution after rain, with several sources of potential faecal contamination including the lagoon itself. Enterococci levels generally increased with increasing rainfall, occasionally exceeding the safe swimming limit in response to little or no rain, and regularly after 5mm or more of rainfall. The site has been monitored since 2014. Northern Beaches Council constructed a raingarden in 2017 within East Esplanade Reserve to ease localised flooding and treat stormwater entering Manly Cove. The Northside Storage Tunnel was constructed by Sydney Water in 2000 and captures wet weather overflows from the four major overflow sites at Lane Cove, Quakers Hat Bay, Tunks Park and Scotts Creek. The tunnel has reduced the frequency of sewage overflows to less than 20 in an average 10-year period. Since the commissioning of the tunnel, about 92.4 billion litres of diluted sewage has been prevented from entering Sydney Harbour. In March 2015, Sydney Water completed works to reduce the occurrence of wet weather overflows in the vicinity of Northbridge Baths. Sydney Water has inspected, cleaned and repaired sewer mains on the northern side of Port Jackson that have a high likelihood of discharging sewage to waterways if they become blocked. Where significant tree root intrusion to the public sewer from the private sewer was identified, property owners were requested to remedy the problem. Mosman Council’s Botanic Road Stormwater Re-use Scheme is an underground storage system which captures stormwater and provides UV disinfection, after which it is pumped to Balmoral Oval and Balmoral Reserve for irrigation. Mosman Council has installed educational signage at beaches in the area advising not to swim for up to three days after heavy rain due to the potential for pollution from stormwater. Stormwater quality improvement devices are installed at Balmoral Beach, Clifton Gardens, Edwards Beach and Chinamans Beach to capture sediment and floating debris. Mosman Council implemented the ‘There’s no such thing as the Dog Poo Fairy’ education campaign to raise awareness amongst dog owners of their responsibilities in picking up after their dog, which has led to an increase in responsible behaviour that assists in keeping the beaches and waterways clean. An audit of parks and reserves in 2018 showed a 71.5% decrease in the amount of dog poo left insitu compared to before the education campaign began in 2014. Mosman Council has implemented a HarbourCare volunteer program. The program helps residents to actively get involved in collecting rubbish along the Mosman foreshore. Between January 2018 and June 2018 more than 100 litres of waste was collected by volunteers. Data on the rubbish collected is collated and reported back to council. Mosman Council then uses this data to help in the development of education programs. Mosman Council has conducted yearly litter surveys for the last four years with the assistance of Better Waste funding and Two Hands. This year 130.5kg of litter was collected from the local beaches and reserves through the May 2018 survey period. Single-use plastics and cigarette butts were the most common items collected. A number of programs are developed and implemented each year to combat these problems. Fairlight Beach is a narrow beach located in North Harbour. A 25 metre pool filled with water from the harbour is adjacent to the beach. The Beach Suitability Grade of Good indicates microbial water quality is considered suitable for swimming most of the time but may be susceptible to pollution after rain from several potential sources of minor faecal contamination. Enterococci levels increased with increasing rainfall, occasionally exceeding the safe swimming limit after light rain and usually after 20mm or more of rain. Forty Baskets Pool is a 20 by 40 metre netted swimming area at the northern end of Forty Baskets Beach in North Harbour. The Beach Suitability Grade of Good indicates microbial water quality is considered suitable for swimming most of the time but may be susceptible to pollution after rain, with several potential sources of minor faecal contamination. The 30 metre square swimming enclosure is at the eastern end of the sandy beach in Little Manly Cove. Enterococci levels increased with increasing rainfall, occasionally exceeding the safe swimming limit after little or no rain, and often after 5mm or more of rain. Manly Cove is a netted swimming enclosure at the centre of the 250 metre long beach, adjacent to the Manly Ferry Terminal.